Description : BoomShuffle is an online music experience that lets you and your friends collaborate to create great music mixes you can stream from anywhere on the Web. It’s a fun way to make cool-looking mixes that play back all the hottest tracks, in their entirety, for free. 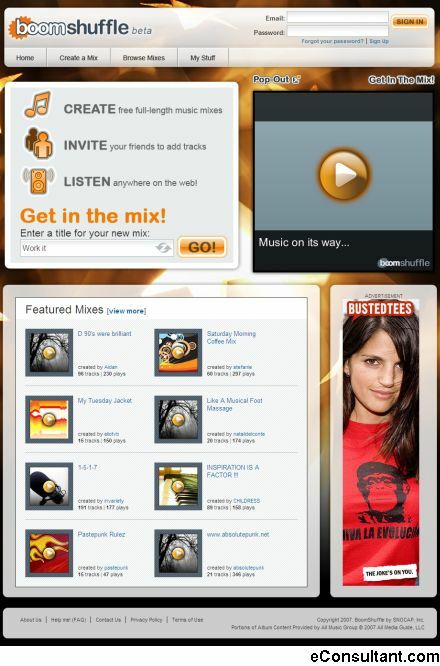 Think of BoomShuffle as an Internet radio station where you and your friends are the DJs. You all choose the songs that make up the mix.